I'd say my trip to Bangkok is incomplete without visiting a rooftop bar. Bangkok, the city that never sleeps has an endless list of nightlife spots in town, but for convenience sake I went to The Roof @ 38th Bar at Mode Sathorn Hotel Bangkok that I stayed during the trip. 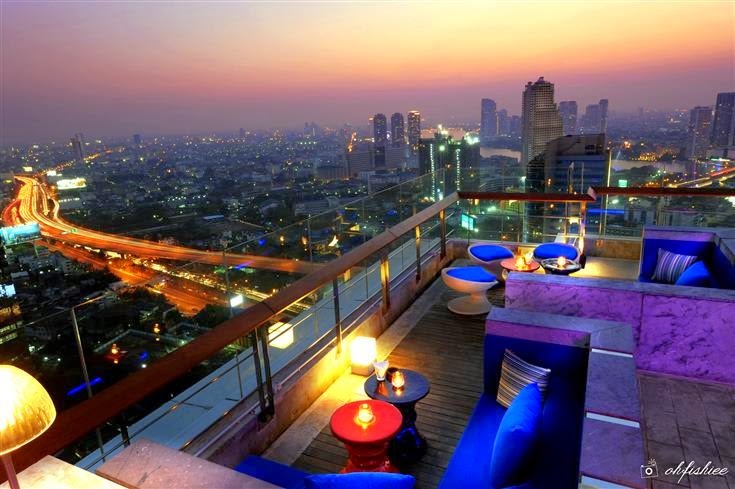 The Roof @ 38th Bar is a metropolitan skybar where you can enjoy your drinks while admiring the beauty of Bangkok night skyline amidst the clouds. 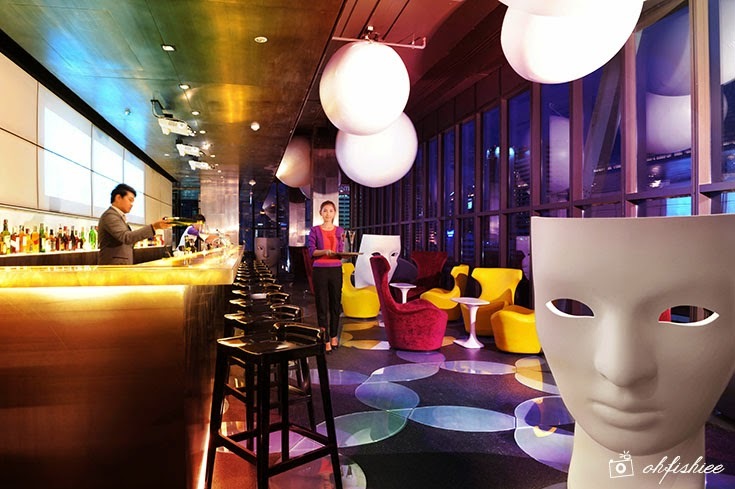 Patrons can head to Level 37 where there is a staircase that leads you to the rooftop bar on Level 38. 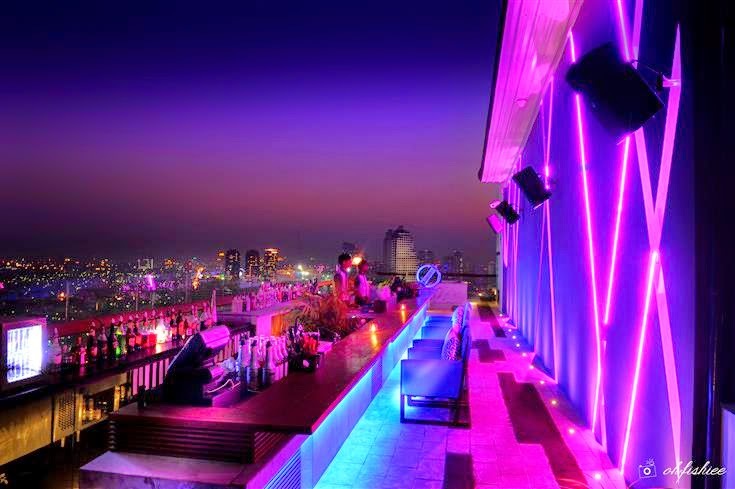 I am not sure what time does Bangkok night life begin, but it would be perfect to visit The Roof during dusk or early evening to enjoy a magnificent 360 degree panoramic view of Bangkok city including the renowned Chao Phraya river. I'm spoilt with a wide range of beautifully crafted cocktails and international tapas. 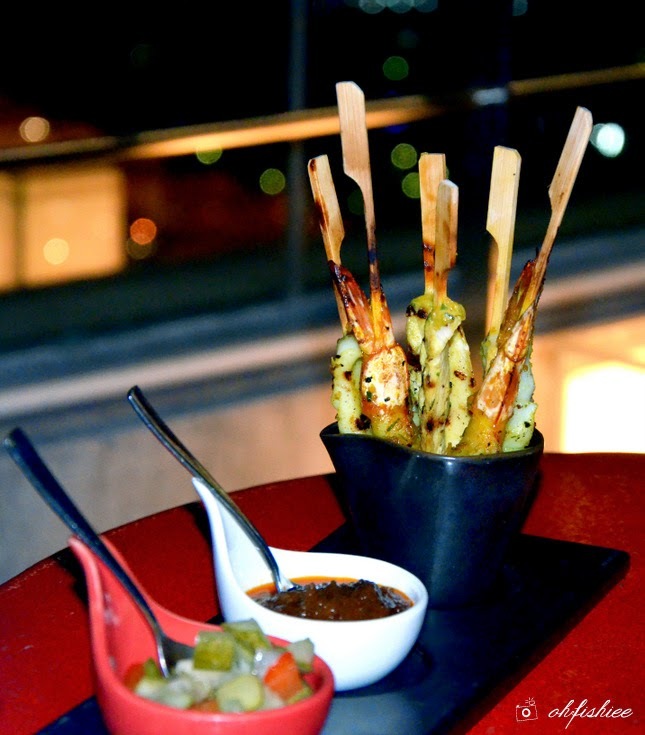 One should not miss the signature skewered barbecued meats that come in a sharing platter. Six sticks of chicken, prawn and squid satay are served with some finely-chopped cucumber and chilli in honey vinaigrette and homemade sweet peanut sauce. Best companion for beers ever! Look at those succulent shrimps, I'm delighted to find such fresh prawns here! They are grilled to perfection with hints of charred flavour, and opens up the palate when dipped into the sweet sour dill sauce. 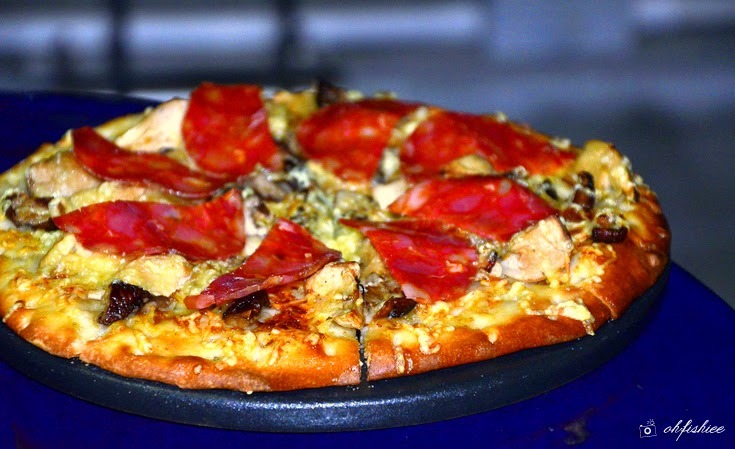 If you're feeling hungry, the fashionable bar also serves electrifying varieties of fusion dishes that incorporates the elements from East and West such as Asian dumplings, Pizza and Western steaks. 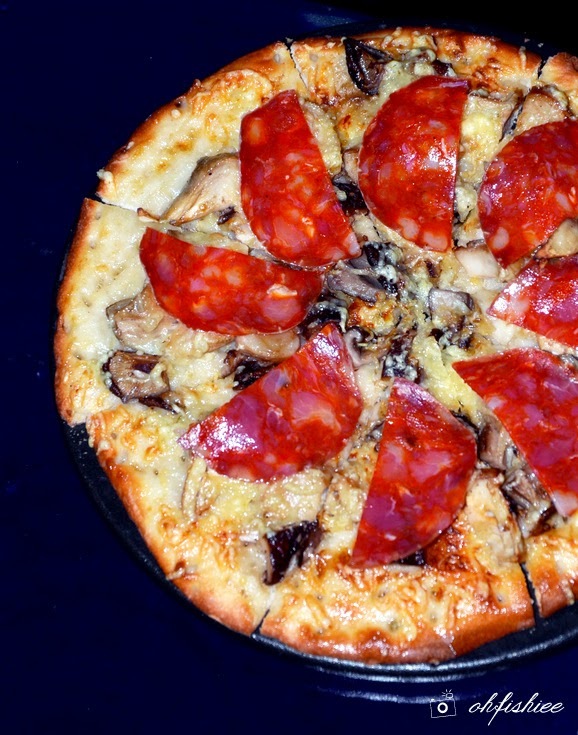 Sitting on the thin pizza bread is a layer of whipping cream topped with sauteed mushroom. Moist and cheesy with burnt crispiness at the edges, it tastes extra flavourful with the savory pork chorizo topping. Great portion for sharing! A pink concoction of Absolut vanilla, strawberry liqueur, creme de cacao white, strawberry pure and heavy cream is simply perfect for the ladies! Sweet and creamy down the throat, it is best for those who prefer mild alcohol for a relaxing evening. Citrus lovers would definitely love this fruity concoction of Absolut Pear, Galliano, orange juice, cranberry and pineapple juice. 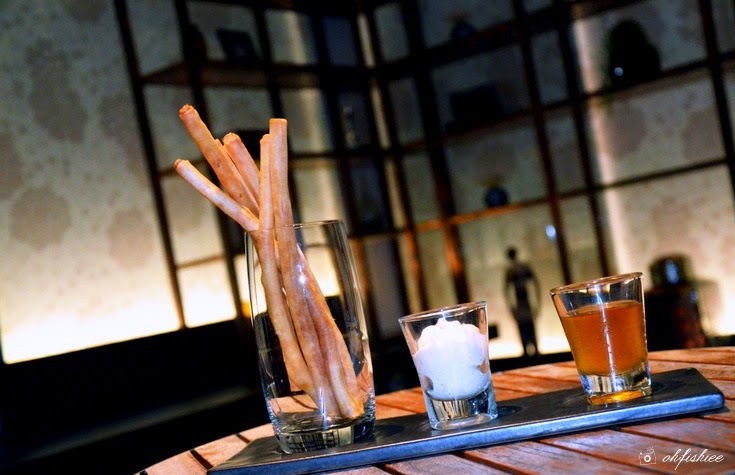 Plus, sipping cocktails under the star is one of the best enjoyments here in Bangkok! Another signature dish in the house that you mustn't miss! Munching through it, I find loads of prawn cutlets in the crispy thin spring rolls which are robust in Brazilian spices flavours. Dip them into spicy tomatoes tartar or sweet plum sauce and be surprised by the exotic combinations! Apart from the daily buffet restaurant that I blogged earlier (Read HERE), Mode Sathorn Hotel also has a pulsating Theatre Bar on the 10th floor for those who love chilling at night. The hallway leading to this bar is all adorned with theatre masks and chandeliers, so unique right? Simply a comfort place to drink and unwind. Look at the colorful interior, this place is picture-perfect too! One eatery which I miss trying is the fine dining restaurant which is open only for dinner, upon reservation. 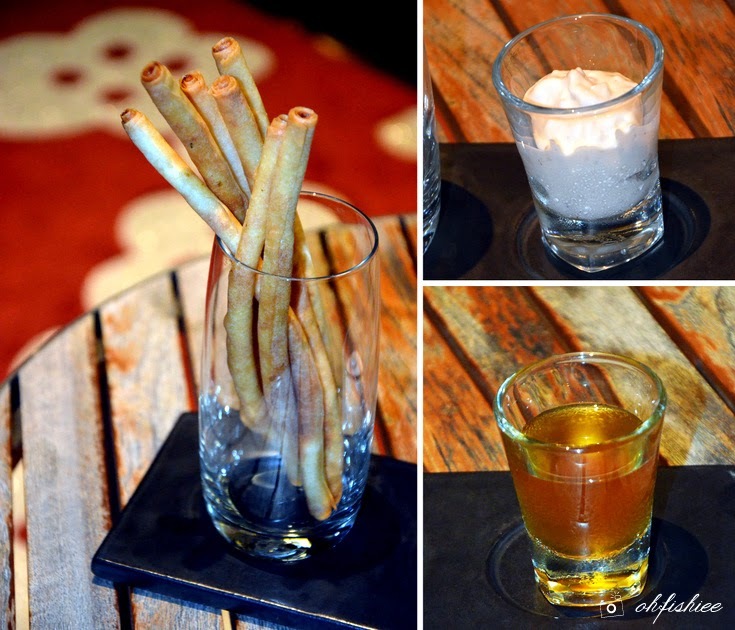 I heard that it not only serves authentic Thai food, but also creative cocktails which I haven't seen before in Bangkok! I'd definitely be back to try their Thai tom yam and chilli martini! 1. 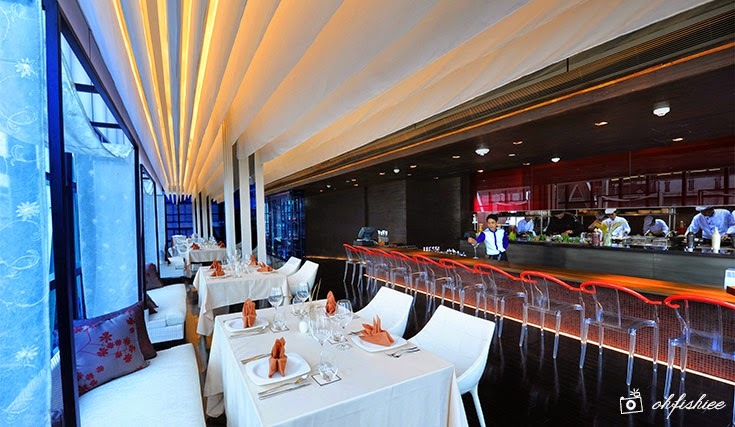 Each restaurant / bar in the hotel is unique and distinctive in its characteristics, and diners can enjoy spectacular views at each of them, be it open-air or through the full glass windows. Plus, the interior is so fashionable and chic! 2. 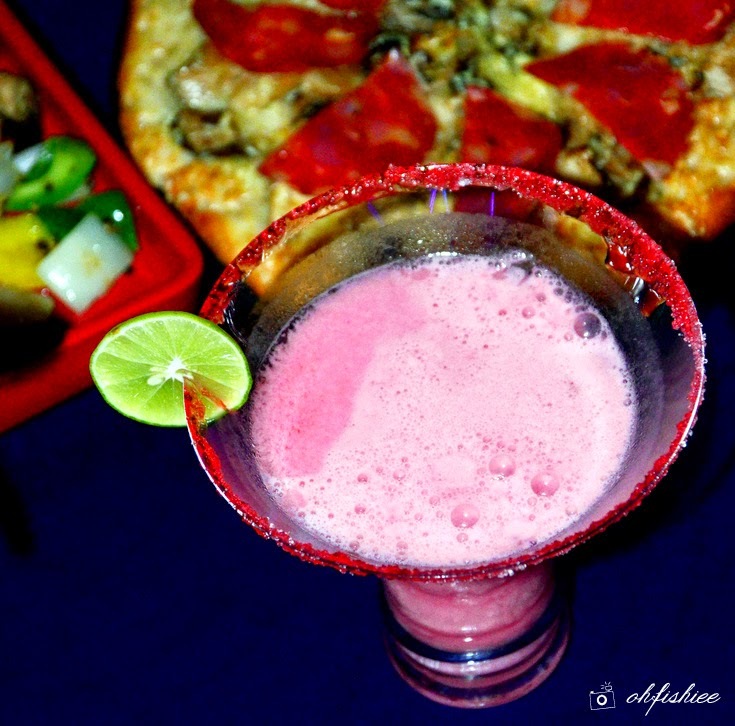 Good food here comes hand in hand with great music, anyway be sure to try the fusion menu!